AUCTION: Now Open Bidding Ends July 31st. Previously $3.8M, Selling at or Above $2.9M Open Daily 1-4PM & by Appointment. 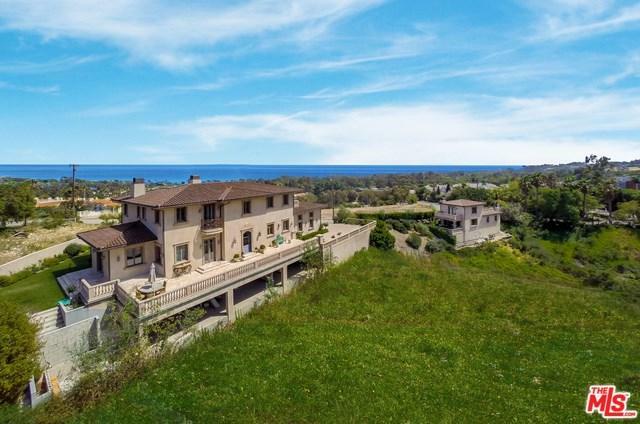 With views of rolling hills reminiscent of Tuscany and the gorgeous Pacific Ocean, this Mediterranean villa is the ultimate Malibu escape. Wake up to sea breezes flowing through the wall of French doors in your sunny master bedroom. Enjoy gourmet meals, sunset cocktails, and leisurely weekend afternoons on one of three large stone terraces opened up to the luxurious interior. Spoil guests with ocean views in the charming and private casita across your magnificently landscaped property.